Nokia Lumia 1320 Launched In The U.S.
Nokia have announced that the Nokia Lumia 1320 is now available in the U.S. the device is available through mobile carrier Cricket Wireless in its retail stores and also its online stores. The handset will set you back $279.99 with the companies monthly plans which do not have you tied into a long term contract, and it will be available with a $50 rebate until the 10th of July. Cricket’s monthly rate plans start as low as $35 and, if you act before July 10, you can get $50 off the $279.99 retail price with a mail-in rebate via the Cricket Visa® Promotion Card. “With the Nokia Lumia 1320, we are providing big value to customers at a budget-friendly price,” said Andy Smoak, AVP of product management at Cricket Wireless. The handset comes with Windows Phone 8, although Nokia have said that it will be getting updated to Windows Phone 8.1 in the near future. The Lumia 1320 is powered by a dual core 1.7GHz processor and it comes with 1GB of RAM and 8GB of built in storage, there is also a microSD card slot which supports 64GB cards. The 1320 also comes with a 6 inch HD display that has a resolution of 1280 x 720 pixels and it features 5 megapixel camera. 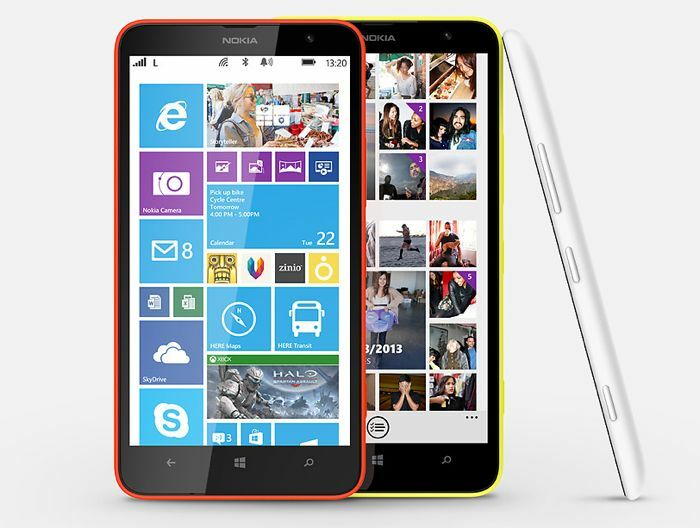 You can find out more details about the Nokia Lumia 1320 on Cricket Wireless over at Nokia at the link below.